We all know how much of a valuable commodity wine is. Of particular importance is also the storage of wine that is being kept for long term aging. Wine as we all know is one of the few commodities that isn’t highly perishable and improves with age. 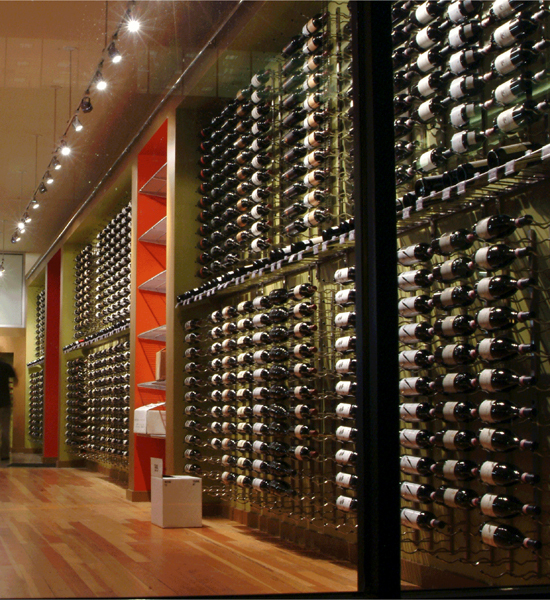 Wine storage particularly for fine wines that are kept for long term aging is very important. These factors play a strong role especially when it comes to the storage aspect. A poor wine storage place may result in catastrophic losses. Light affects wine mainly because wine has some phenolic compounds that can react adversely to light. This is why many wines normally come in tinted bottles. Humidity on the other hand particularly if excess may cause wine to spoil due to oxidation. Humidity too may damage the wine’s labels, which hinders the wine’s re-sale value. Though some humidity is mandatory to ensure the wine’s cork closure doesn’t dry out. Humidity in a wine cellar is a good thing but it has to be managed in order to ensure the wine’s longevity under wine storage. Temperature is also another key problem that may cause wine to go bad. When wine is on storage one must ensure that their wine isn’t exposed to high temperature for high temperatures cause the wine to spoil and acquire some off-flavors with some weird tastes. Exposure to cold temperatures on the other hand may cause the wine to freeze, expand and make the cork to be pushed out leading to oxidation of the wine. Wine is normally sensitive to temperature changes. Wine storage is normally a demanding process that requires a lot of care and one should be really careful when storing their wine. This is normally a commonly asked question, whether one should choose to store their wine at home or let a professional wine storage company to handle their wine storage needs. This is normally subjected to various factors, ranging from the number of bottles one has, if they have the space to have a cellar constructed etc. We often are in favor for one to conduct some basic research before they embark on wine storage. For the best results it’s often best to leave it to the professionals for they offer the best results, plus they save you on storage space and time. Wine storage has a lot of benefits. Wine storage is a good investment for wine becomes better in age and may fetch a higher price than before. Wine storage offers a wine with better flavor and taste, which one can use to entertain guests and friends. Wine storage allows one to get quality wine at any time they want. During different times of the year one is guaranteed of quality wine. Tips on proper wine storage. Keep the wine in moderate temperatures, this ensures the longevity of the wine. Wine shouldn’t be exposed to too hot or too cold conditions. The ideal temperature range according to many wine experts is usually around 45 degrees Fahrenheit and 65 degrees Fahrenheit. Keep the lights off when placing the wine in a cellar. Wine is best stored when the exposure to light is minimal. Place the wine bottles sideways preferably on a wine-rack. This keeps the liquid up against the cork and prevents keeps the cork from drying up. Watch the humidity of the storage place to ensure it doesn’t damage the wine.